¡Hola! 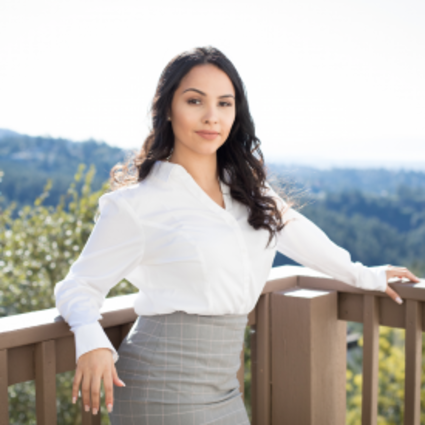 As a bilingual residential real estate agent, Michelle Izaguirre provides professional assistance in Spanish as well as English. A Bay Area native, Michelle knows the region well and specializes in Central Valley home sale and purchase. As a linguist, it’s no surprise that Michelle’s priority is the very best communication. She finds that it drives success, allows her to deliver excellent service, and ensures that her clients’ dream homes become a reality. Michelle has a love for the scenery of the California mountains. While many of her clients work in the Bay Area, like herself, some prefer the pace of life in the Central Valley. If you’re among those looking for a home, a second home or an investment home with knock-out mountain and valley views, Michelle knows just where the best ones are to suit any budget.